Hey CWM You created a monster. Egg is warming up because my wife (yes the one who usually won't eat egged food) wants some pigs in a blanket cooked on the egg. Thats a big blanket your gonna need :woohoo: :laugh:. Just messing with you Pete, looking forward to seeing you and the better half in Atlanta. LOL. Glad she enjoys them. 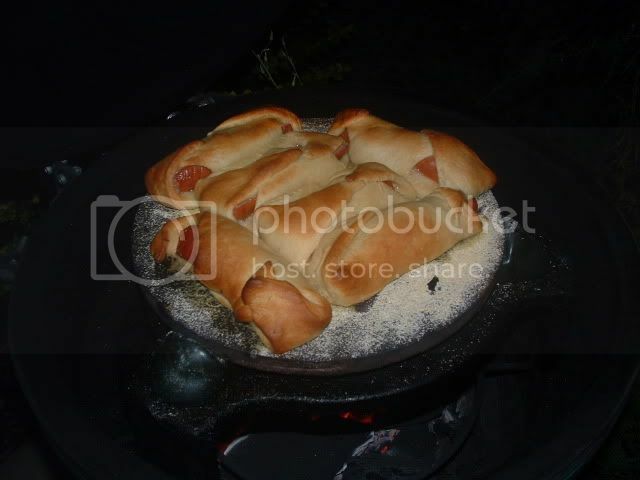 I told her I don't think they make a crescent roll big enough to wrap up a hog..
She did make me get all beef hog dogs... Like it took a like of makin'..
What did you use for the "blanket" in your picture? They look much better than the crescent rolls I use! I have used the refrigerated pretzel dough and swirled around the dog. Look forward to meeting you in Atlanta. They are just an extra large Cresent Roll. It was actually a private brand. I used Eckrich Sausage, so that should give you an idea how big the rolls needed to be.